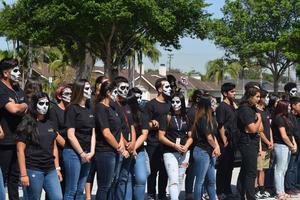 To drive home the perils of operating a car while distracted or driving under the influence of alcohol or drugs, Santa Fe High School will host an “Every 15 Minutes” program, a two-day event featuring a simulated car crash, rescue efforts and the dramatized deaths of students, as well as a mock funeral. 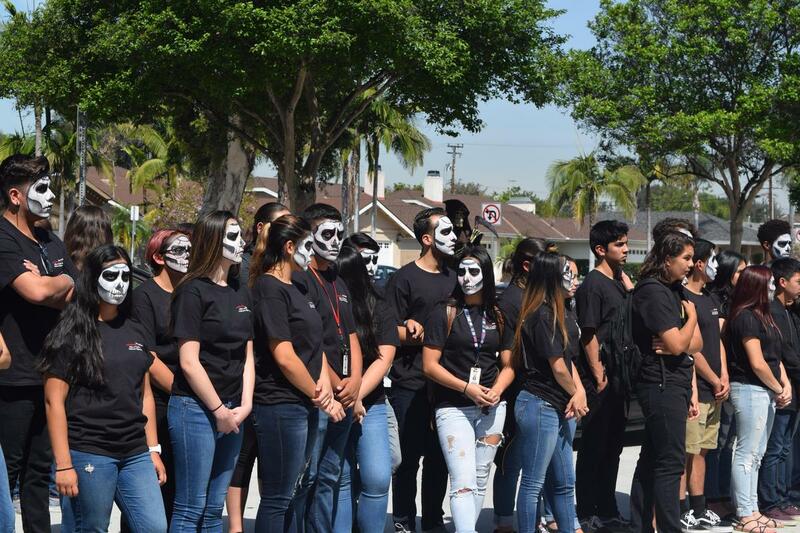 The “Every 15 Minutes” program will begin with a simulated auto crash in front of the school and a pre-recorded 911 call that triggers an emergency response by law enforcement agencies, firefighters, paramedics and the coroner. The staged crash involves students who are “critically and fatally wounded” and transported via ambulance to a local hospital, and an “injured” student, who is arrested for drunk driving. Throughout the day, a Grim Reaper pulls a student from class every 15 minutes to become one of the “living dead.” The students do not return to their classes or homes, instead taking part in an overnight retreat without contact with family or friends. During the retreat, they hear from people involved in or affected by drunk driving crashes. The retreat concludes with the students writing letters to their loved ones about being taken so suddenly. The event concludes with a school assembly the following day. A video of the previous day’s events is shown; the living dead students read excerpts from their letters and are reunited with their families and friends. Law enforcement and emergency medical responders share how they are affected when people make poor choices with alcohol.